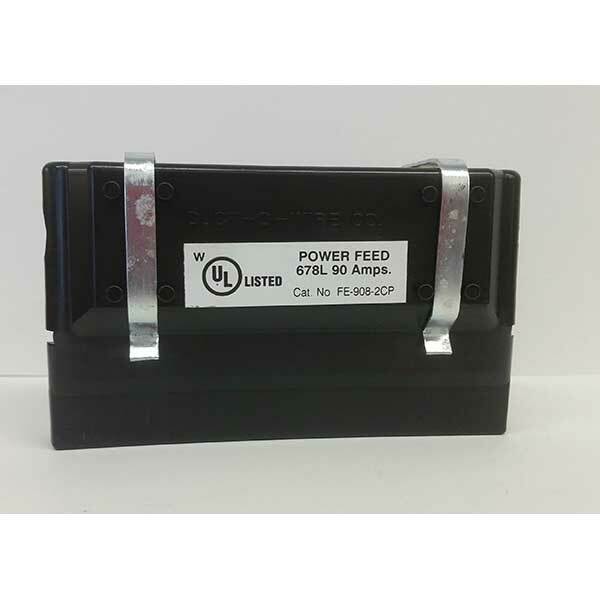 FE-2008-2CP 250 Amp Rated – Bronze. Fro FE-1608-2 and FE-2008-2 Systems. Will accept up to # 1/0 AWG cable. FE-758-GCTP 40 Amp Rated. For all systems with FE-758 conductor bar. FE-908-GCTP 40 Amp Rated. For all systems with FE-908, FE-1608, FE-2008 and FE-3008 conductor bar.